Aplus Mini Markets is the place we take off for. 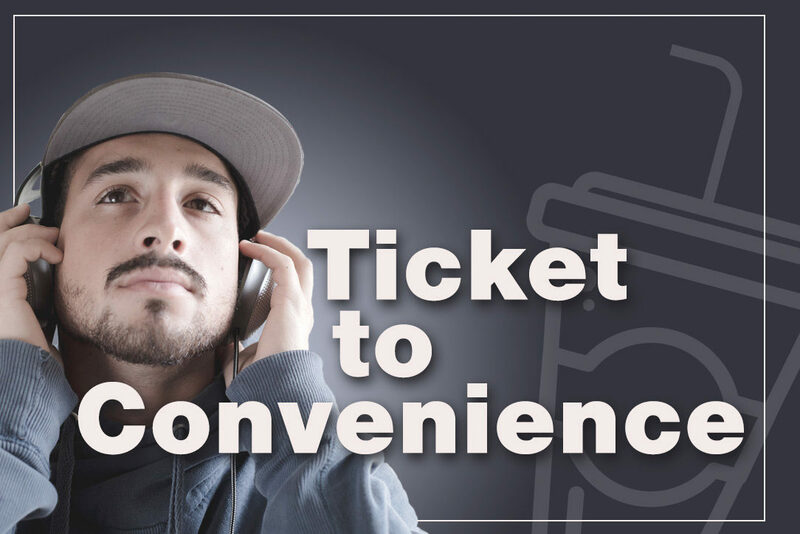 ticket to convenience–Atlantic Aplus Mini Markets, all the way! We asked the production company to develop a sound bed, then we wrote lyrics that fit to the music heard on the final jingle. Rather than have one person sing it, we opted for multiple voices to make it sound like a boisterous fan endorsement. We tried to write it more like a stadium cheer than a jingle…and somehow managed to get the client’s name mentioned six times!